This hitch mounted motorcycle carrier is the solution to transport your scooter or dirt bike. It doubles as a cargo carrier for your gas cans, gear or luggage. The motorcycle carrier has a 1000 lb weight capacity. 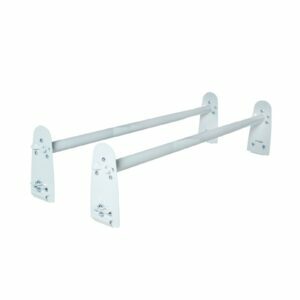 The 58″ long x 5 1/2″ wide loading ramp stores under the carrier to save space. 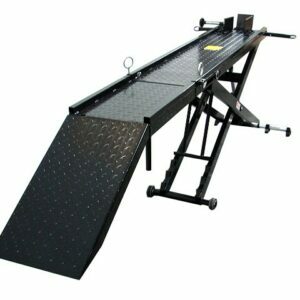 Free loading ramp weight capacity is 400lbs Max. 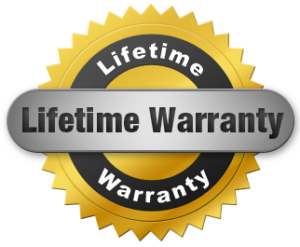 The Motorcycle Carrier comes complete with a LIFETIME WARRANTY against defects. 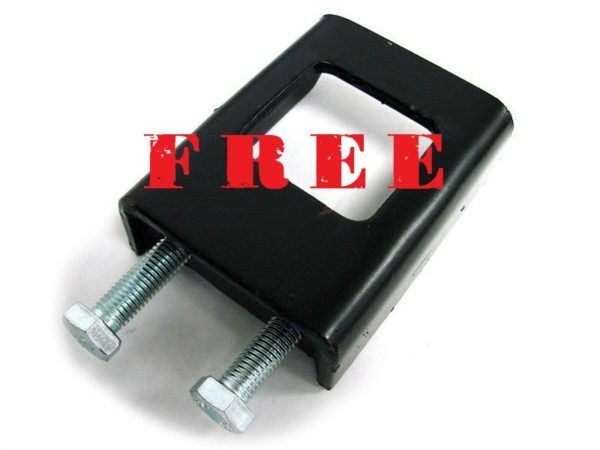 Free Anti Tilt Bracket with purchase but we recommend upgrade Heavy Duty Anti Tilt Bracket for stronger support. Item# AM1306B purpose is not for towing trailers, etc. Outside receiver recommended for bike racks or hitch baskets. 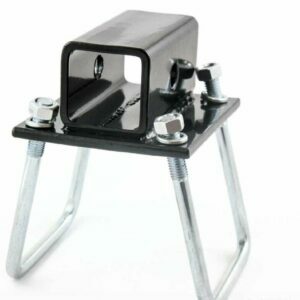 Easily transport your bike with the steel 600 lb hitch-mounted motorcycle carrier. Lifetime Warranty and 30 day Worry-Free Return. Available only at WmaStore.com!